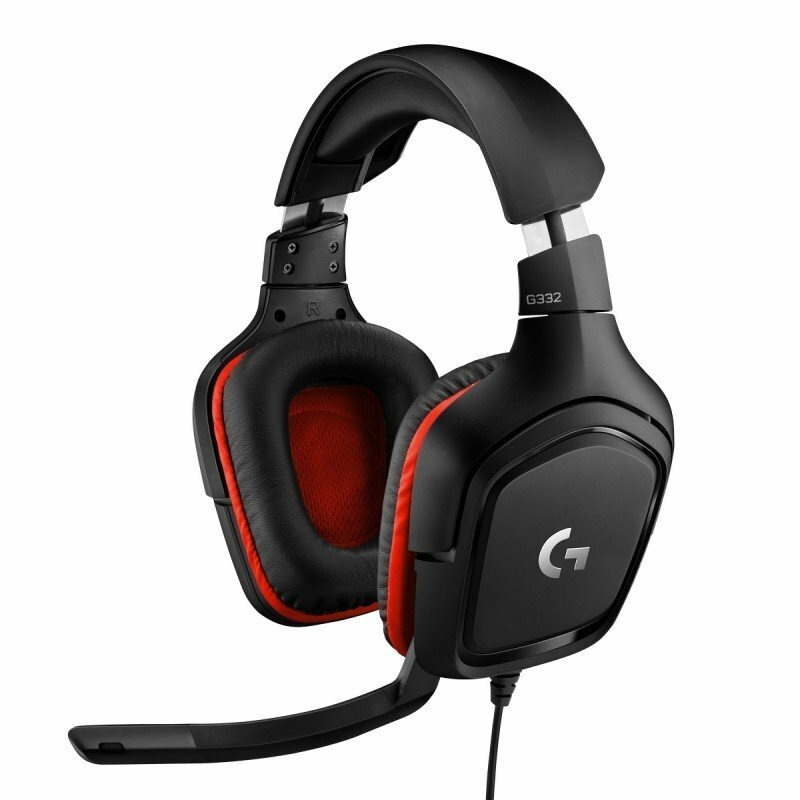 Logitech G332 gaming headset lets you hear more of the game with big 50-mm drivers that deliver complete sound reproduction. Enjoy the whole experience of all your favourite games. It's slim and lightweight, with rotating sports-performance ear cups, a large 6-mm flip-to-mute mic and convenient multi-platform compatibility. 50-mm drivers - Enjoy expansive sound and a more immersive gaming experience thanks to big 50-mm audio drivers. 6-mm flip-to-mute mic and volume control - You'll be heard loud and clear by your gaming partners with the large boom mic that mutes when flipped up. Volume control is at your fingertips. Multi-platform compatibility - Use one headset for all game platforms! G332 works with PC or Mac via 3.5 mm cable, with gaming consoles including PlayStation 4™, Xbox One™ and Nintendo Switch™, and mobile devices via a 3.5 mm cable. Comfortable, slim design - Everything about these headphones is about comfort: the lightweight leatherette ear cups and headband are made to keep pressure off your ears, and ear cups rotate up to 90 degrees for convenience, so you can game for hours in comfort.